My adult son rang me recently and asked me for Grandma’s Cabbage Salad Recipe to which I answered cabbage, eggs and potatoes. It wasn’t the answer he wanted. Because this salad is a family recipe, it has always been made by taste, sight and feel. There is no written recipe and you just know when you have enough potatoes or eggs or vinegar. The owner of the recipe is dubious: is it Aunty Matilda’s recipe or Grandma Ines’s recipe. After much discussion among the family, we are still unsure but its origin is most likely the area of Italy from where their families originate – Friuli Venezia Giulia. Hopefully these quantities will work! Cube potatoes and cut eggs into 8 pieces. 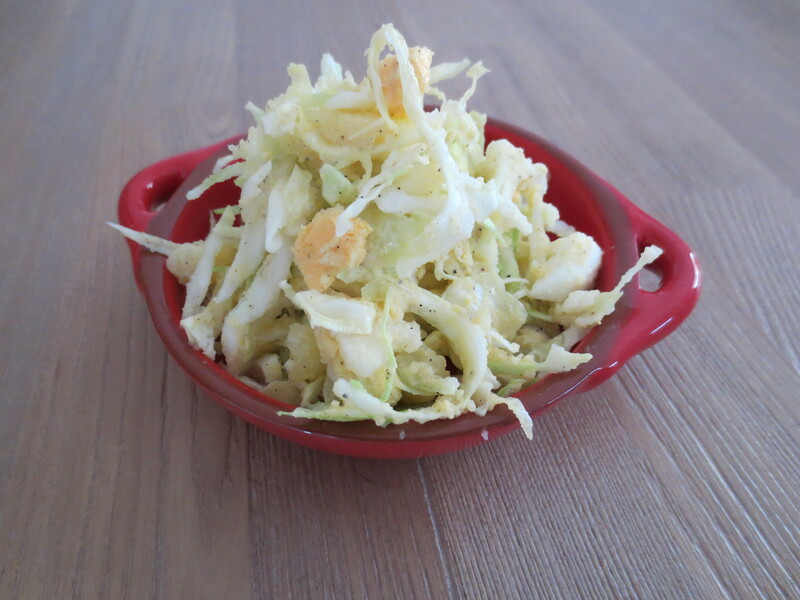 Combine in a bowl with cabbage. Add oil and vinegar and combine ingredients with hands. Don’t be gentle as you want the potatoes and eggs to break and coat the cabbage. Add salt and pepper to taste. Taste the salad, as you might need to add more vinegar depending upon taste. 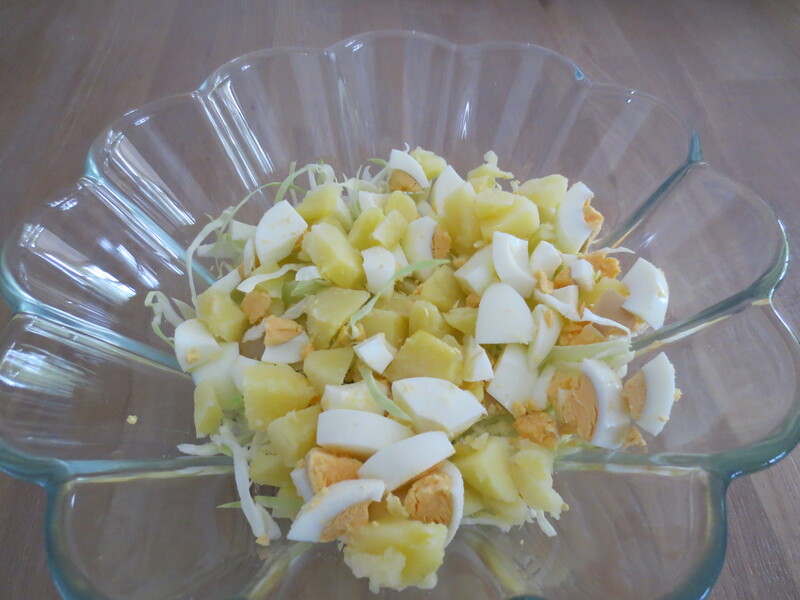 The volume of this salad will reduce down as the vinegar is absorbed by the cabbage. And this salad will once again grace my family’s Christmas lunch table, just as it has since before my memory. This salad looks delicious! And I love that your son wants the recipe, as in the specific and detailed one 🙂 Keeping up the family food legacy! Yes, we build traditions of food into our family rituals and sometimes the rituals we have created can be a nuisance, but other times a joy. Matthew is the most creative and confident cook in the family so I suppose I have passed on some of my passion for food and food heritage. My other adult son has already texted and phoned many times regarding the Christmas menu. I threatened that we could have Christmas at his house and he could make all the decisions. This year I will have our four sons : 33, 32, 20 and 18 home for Christmas and a granddaughter, 4. There will be a lot of discussion about food I am sure.